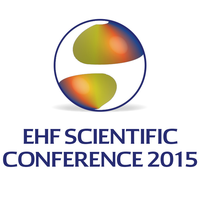 The European Handball Federation and the Union of University Handball Teachers (UUHT) will hold the third edition of the EHF Scientific Conference (Scientific and Practical Approaches) in the Romanian capital of Bucharest from 13 to 14 November 2015. The goal of the conference is to bring professional and scientific experts together in order to reflect on the medical aspects in handball, preparation and the game (including beach handball). For all organisational details regarding the conference download the event's "3rd announcement". E-posters are also a possible way of publication. The publication of an abstract/ article/ e-poster is included in the participation fee. If you are not able to attend the Conference, please, note that publishing one article/ e-poster will cost € 30, two articles/ e-posters €40 and three articles/ e-posters €50. The full guidelines for abstracts, articles and presentations, are also available for download. For further information please contact the Conference Secretariat, Helmut Höritsch.